We are a full service facility that offers all breed dog training and boarding. Your pet will stay in a climate controlled facility. While resting indoors your pet will listen to music, we provide soft comfortable bedding and a variety of treats throughout the day. The kennel runs are 6' x 12' constructed of heavy gauge galvanized wire, cement flooring, wooden platform beds, kennels are cleaned twice daily. Fresh water is always available. Each pet is taken outdoors to a private fenced exercise yard. We do not charge extra to administer medication or feeding special diets. We offer Stay and Train, a refresher obedience lesson for our clients, or additional play time with our trainers. Canine massages are available by appointment with therapist. There is an additional charge for Sunday, or Holiday availability to pick up. We strive to breed the very best quality working dogs. All of our breeding stock have Performance Work Titles, Breed Surveys, clear hip and elbow certifications, and DNA testing. 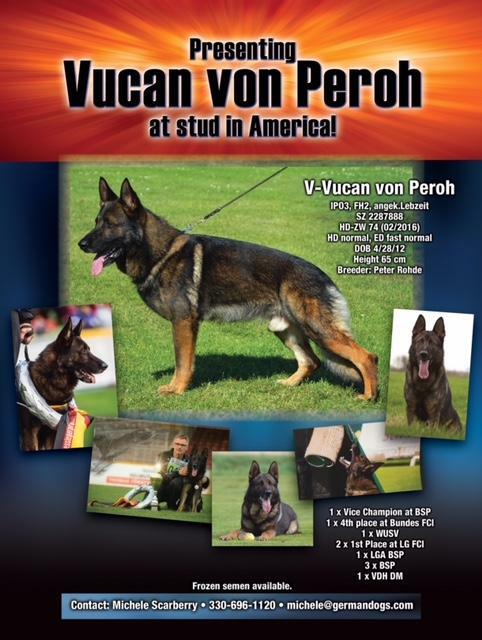 Our pedigrees are from only the best German bloodlines. Consideration is given to temperament, structure, working ability and longevity of life in our breeding program. Whether you are looking for a well bred puppy or trained adult dog, or maybe just trying to find that perfect pet ~ we would like to help educate you regarding your options, and we will work hard to meet your special need. actually involved in Schutzhund and competing with their dogs. Gather information from as many different dog enthuiasts and professionals as you can. Visit shows, trials, clubs and training facilities. Become informed.